Hear music from the Ghostbusters theme song. Wheels turn. Battery operated. 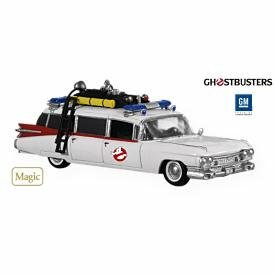 4 3/4"W.
Items Similar To "2009 Hallmark ECTO -1 Christmas Ornament~Ghostbusters~Music"